RIO de JANIERO, Brazil, June 4, 2012 (ENS) – Mongolia’s President Tsakhia Elbegdorj, Brazilian banker Fabio Barbosa and renewable energy entrepreneur Dr. Sultan Ahmed Al Jaber are among the six winners of the United Nations’ Champions of the Earth 2012 award, given to those whose actions and leadership have had a positive impact on the environment. 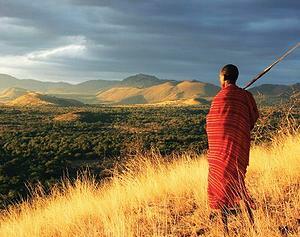 Swiss aeronaut Dr. Bertrand Piccard, Dutch scientist Dr. Sander van der Leeuw and Kenyan Maasai conservationist Samson Parashina also were recognized as Champions of the Earth 2012. UN Environment Programme Executive Director Achim Steiner presented the LG Electronics-sponsored awards at a ceremony today in Rio, attended by UNEP Goodwill Ambassador Gisele Bundchen, Brazil’s Minister of the Environment Izabella Teixeira and Rio+20 Secretary-General Sha Zukang. Steiner said the awards are meant to inspire attendees at Rio+20, the UN’s conference on Sustainable Development taking place in Rio later this month, 20 years after the landmark UN Earth Summit that set many of today’s environmental programs in motion. “As the world heads to Brazil for Rio+20 later this month, these six individuals, deservedly named as Champions, demonstrate that committed, concrete action can have a transformative effect on countries, communities and businesses,” said Steiner. The winners have demonstrated commitment to building a sustainable future for the planet through active green policies, groundbreaking clean energy developments and community work that has helped conserve critical ecosystems, he said. 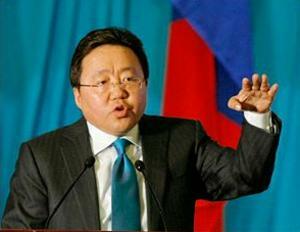 Policy Leadership: President Tsakhia Elbegdorj of Mongolia for delivering on promises to put the environment at the forefront of policies. Entrepreneurial Vision: Fabio Barbosa of Brazil and Dr. Sultan Ahmed Al Jaber of the United Arab Emirates for their business efforts in sustainability and promoting renewable energy and clean technology. Science and Innovation: Dr. Sander Van der Leeuw of The Netherlands for his research, which applies lessons learned from history to understand why humanity is not facing up to the long-term issue of environmental change. Special Category – Grassroots Initiatives: Samson Parashina of Kenya for leading community efforts to conserve Kenya’s Tsavo-Amboseli ecosystem. President Elbegdorj, who has prioritized green policies and environmental awareness for youth, said his formative years as a Mongolian herdsman living close to nature helped shape his sustainable outlook. Barbosa is based in Sao Paulo, Brazil, where he serves as chief executive officer of Abril S.A., one of Latin America’s largest and most influential media enterprises. As president of Banco Real earlier in this decade, Barbosa introduced a transformative sustainability initiative that included social and environmental risk analysis, ethical investment funding, microcredit operations, and a diversity programme, which led the “Financial Times” to name the bank Sustainable Bank of the Year in 2007. Barbosa’s initiative became the object of a study at Harvard and earned Banco Real other sustainability awards from the UN, the International Chamber of Commerce and The Prince of Wales International Business Leaders Forum. Barbosa continues to be recognized for his efforts to integrate philanthropic and sustainable practices into business models. In 2010 he was named Leader of Social Change by the Foundation for Social Change in partnership with the UN, and in July 2011, the UN Foundation announced he had joined its Board of Directors. “Fabio Barbosa has a proven record of bringing together leaders in the Western hemisphere, the business community and the people of Brazil to focus on global problems,” said Ted Turner, founder and chairman of the UN Foundation’s Board of Directors. Dr. Sultan Ahmed Al Jaber is the chief executive officer of Masdar, which is developing the world’s first zero-carbon and zero-emission city in Abu Dhabi and investing globally in clean energy innovation and deployment around the world. 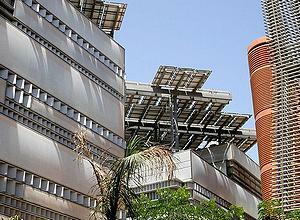 In 2009, Dr. Al Jaber coordinated and led Masdar’s participation in the UAE’s successful bid to host the headquarters of the International Renewable Energy Agency in Abu Dhabi. He was invited by UN Secretary General Ban Ki-Moon to serve as a member of the UN Secretary General’s Advisory Group on Energy and Climate Change. In 2010, he was appointed UAE Special Envoy for Energy and Climate Change. In 2011, he was selected by the secretary general to serve as a member of the High Level Group on Sustainable Energy for All. Dr. Piccard achieved the first non-stop round-the-world balloon flight with Brian Jones. An internationally renowned medical doctor and psychiatrist, aeronaut and lecturer, initiator of the Solar Impulse program, chairman of the Winds of Hope charitable foundation, and a UN goodwill ambassador, he combines science and adventure in order to address some of today’s global challenges. Dr. Piccard aims to become the first person to travel around the world in a piloted fixed-wing aircraft using only solar power. This is the second year in a row that a Swiss who has circumnavigated the globe was included among the UN’s Champions of the Earth. Last year, Louis Palmer who led a fleet of electric vehicles around the world in 80 days and earlier became the first person to circle the earth in a solar-powered vehicle, won the Inspiration and Action award. Dr. van der Leeuw, winner in the Science and Innovation category, has spent his career studying human-environment relations and invention and innovation in society, applying the lessons learned from history to help understand why humanity is not facing up to the long-term issue of environmental change. He said the award made him feel “more confident” about using his research to educate future generations about the need for sustainability. The trust employs more than 200 locals and has an annual budget of over US$1 million. It is developing sustainable financing mechanisms and partnering with Conservation International and Wildlife Works to carry out a REDD+ forest carbon feasibility study. The trust protects the Chyulu Forest-Mizima Springs watershed, which provides fresh water for millions of Kenyans. And, in an area of human-wildlife conflicts, the trust is using tourism surcharges to fund Wildlife Pays, a program that compensates livestock herders for losses to wildlife predation in exchange for protection of predators. At a time when poaching of elephants and rhino is on the rise in Kenya, with deadly gun battles between poachers and wildlife rangers, Parashina’s organization is using a community-led approach to prevent poaching through education and patrols. Parashina is also head guide at Campi ya Kanzi, named by CNN as one of the world’s 10 top luxury eco-hotels. The Maasai Wilderness Conservation Trust is one of 25 organizations to win the 2012 Equator Prize given by the UN Development Programme. Parashina was nominated as a Champion of the Earth by actor Edward Norton, who serves on the board of the Maasai Wilderness Conservation Trust and is the UN’s Goodwill Ambassador for Biodiversity. “He’s one of my heroes and I’m in this role to celebrate people like him,” said Norton in his nomination. Champions of the Earth, which was launched in 2005, is the UN’s flagship environmental award. To date, it has recognized 51 individuals and organizations for their leadership, vision, inspiration and action on the environment. The list of Champions laureates includes former U.S. Vice President and Nobel Peace Prize winner Al Gore, Mexican President Felipe Calderon, Chinese actress and environmental advocate Zhou Xun, the Women’s Environment & Development Organization and global music legend Angelique Kidjo.